Get in touch with an expert to help answer YOUR questions! With incredible pulling power and the OASIS control system, the S-485 is a ride-on four-wheel drive model that can screed in any direction and is easy-to-operate. With the versatility to be utilized as a Laser Screed® machine or a Laser Controlled Rake, the S-485 provides simple, fast, and accurate results whether you are screeding concrete or prepping the subgrade. Provides better performance in difficult applications, including chaired rebar or mesh, ice rinks, in-floor heat and freezer slabs. Everyone should have a S-485. It is essential. What we like about the small screed is it doesn’t have an auger, so we don’t have to worry about going left or right, we can go any direction we want no matter how many penetrations are in the floor. If you have a job that needs high numbers but you can’t get a S-22E in there, you have to use a small screed. This 485 is state of the art. With incredible pulling power and the OASIS control system, the S-485 is a ride-on four-wheel drive model that can screed in any direction and is easy-to-operate. 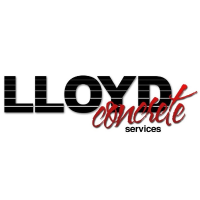 Stevie Ray Lloyd with Lloyd Concrete shares his stories and experiences with the Somero S-485 Laser Screed(R) machine.